I just found out that Barbara Lewis of Painting with Fire has a new blog. 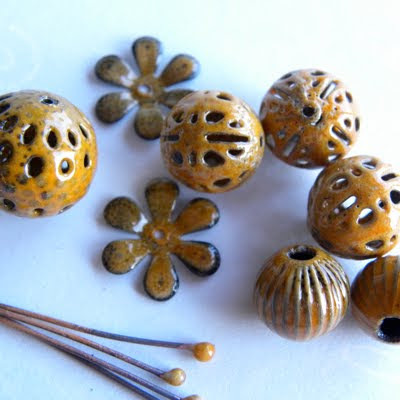 And for this occasion she is having a giveaway - one of her beautiful sets of torch-fired beads. I recently got one in Dusty Rose, and really can't decide which one my next favorite color would be. Dusty Blue or Mandarin Orange? Jump over to her blog to find out yourself. 1 Response to "Giveaway on Painting with Fire blog"
Aren't they lovely! Good luck!